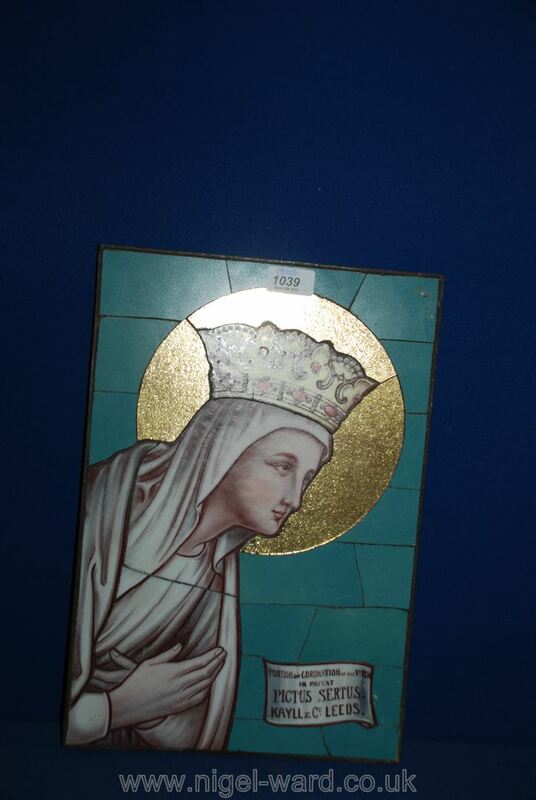 A rare late Victorian Kayll & Co of Albion street, Leeds Icon of the Madonna, used as a trade sample of their Pictus Sertus mosaic technique. Lot 1038 Four antique oak pew ends, carved with poppy head finials. Lot 1040 A large Victorian pine Easel dated 1887, and two smaller easels.